Nothing. I have worked on numerous different platforms for CMMS's. This is a very detailed and easy system use for a requester. The system gives me the ability to monitor the production of our workers and vendors. This gives me the real time notification every time a work order is requested and when it has been approved. It also gives me notifications every time one of our employees and vendors does any work to towards the work order. This can also be customized to fit my needs. Thank you for leaving a great review. We are happy to hear that Hippo continues to help your organization with managing work orders and tracking production of workers and vendors. Its pretty easy to use and train other people to use. We understand they are growing and have hiccups. There are a few things we are requesting that they are hopefully working on. We are addressing downtime issues on a scheduled basis and we are able to generate reports properly. We are happy to hear that you are enjoying your experience as a Hippo User. We have lot of development planned for the coming year. Stay tuned for updates. Hippo is useful for maintenance tracking work orders. This system help us in giving and assigning jobs to our staff. Need to be more user friendly. Should be able to print out reports, open or pending. The graph representation needs to be more easy to understand for user. Useful in tracking work orders. We were able to list down all work orders in our property. We were able to keep eyes on pending jobs, who did the job for review. We are happy to hear that Hippo is helping you keep track of maintenance history. Most of our users find Hippo really user friendly. Why don't we set up additional training for your team to find easier ways to navigate the software. Please reach out to our training team at support@hippocmms.com so that we can get this going. Please note that we can generate and print reports at Enterprise as well as Facility level for specific work order statuses. Please don't hesitate to reach out to us if you have any questions on reporting feature of the software. "Asset Management Intern/HIPPO Maintenance and Set Up"
Easiness to track work orders is a huge plus with the program. User friendliness is something that was promptly noticed in comparison with other programs. Some glitches are still being noticed and worked out with the HIPPO program since the upgrade to Version 10. Only small things have come up that are not working properly such as multiple equipment model names of the same model showing up when only one of each should be available. HIPPO CMMS is very user-friendly and is easy to navigate for those who are not as computer literate. Thank you for leaving a great review. We are very happy to hear that you are finding the software easy to use. Reducing paper transactions is one of the benefits of using Hippo CMMS and we are glad to hear it fits in well to your workflow. We are working hard to resolve the glitches in the program to provide a enjoyable experience for our users. "Great solution for my maintenance department"
Great value for a CMMS software. Flexible enough to do what we need to do. Easy for my team to use. Better mobile app would be nice. Also, easier way to see history of work orders for a specific location would be helpful. Take it for a test drive. Works great for my needs and I recommend it to lots of folks. Just have to use it a little to see if it will do everything you need it to do. Streamlined our work order process. Allows for reporting on recurring issues. Provides feedback for requestor once work has been completed. Thank you for great feedback. We are happy to hear that Hippo has helped in streamlining work order management process at your organization. We have recently released revamped mobile version of the software and we have lot of development planned for the coming year. Stay tuned for updates. Please note that we can see history of work orders for a specific location from location detail screen available under Facility Admin panel. Please feel free to reach out to us at support@hippcomms.com if you have any further questions. "Hippo - The Problem Solver"
The way HIPPO CMMS allows us to streamline our maintenance requests and work orders has been huge in saving us time and manpower to complete our tasks. Our maintenance technicians receive prompt e-mail notifications when a work order has been submitted and that allows us to get a jump on things much quicker than we normally would.The e-mail notification tool also is sent out when the work order has been completed, allowing the requester to know when the work has been completed and what necessary repairs have been made. Hippo allows us to keep an excellent track record of the repairs and troubleshooting that we do to our facilities equipment. We have just begun using the scan code feature HIPPO offers and it is already paying off huge dividends. Sometimes when using the back button, the screen freezes and you have to log out and log back in. It would also be nice if we could go back and edit already completed work orders to add additional comments or documents to a work order. I would definitely recommend to anyone trying to streamline their work orders. The customer service is excellent. Hippo CMMS is very user friendly. You do not have to be a tech wiz to use this at all! Our facility is excited to start using HIPPO's new scan code feature. Allows us to prioritize our work orders. We can run maintenance history reports on all of our equipment. Can access equipment information in seconds. Thanks for your feedback. Glad to hear that you like our support. You can definitely add pictures to work orders both from mobile and the desktop version. Contact our support and they will gladly show you how to get there. "Capable Program that is Good for our Property"
I like being able to manipulate and change my locations, add equipment, and keep repair parts as a link within the equipment lines. Using pictures is extremely helpful and valuable, I get to pick the pictures so I know they are right. It is a bit slow to update to update when I make changes. It also sometimes take quite a few minutes to load the pages when my technicians are trying to get work done. I have not had good with the mobile link on my iPhone. Hippo is a good product that is bringing our maintenance department into the digital age. The products are great, training is good, the ease of use is often self explanatory, and it is less expensive than competitors. I am now able to track work done on individual pieces of equipment. we used to just "remember" where work was being done. Know we can track individually. I can also track word done at the individual venues we have, keep a tab on time, and bill them appropriately. Thank you for the great feedback. Great to hear that Hippo gives you the ability to customize locations, equipment and parts as required. We are always working on improving the product and performance - load time improvements is on top of our list. Please feel free to reach out to us at support@hippocmms.com so that we can help you set-up Hippo on your mobile device. "Very easy to use and flexible"
We are so glad to hear that you find Hippo CMMS easy to use. We apologize that software had some bugs when we first migrated to Version 6. Our development team is continuously working on improving the product. Please reach out to us at support@hippocmms.com if you are still noticing any issues. It has been helpful for submitting and tracking work orders. Also user friendly for all staff. Have not been able to delete scheduled work orders that we no longer need. Use primarily for work orders. We are happy to hear that you find Hippo CMMS easy to use and it is helping you keep track of work orders. Please note that we can delete Scheduled Work Orders from Scheduled Work Orders grid available under Facility Admin panel. If these tickets have already generated and we want to complete remove them from the database, please send us the Work Order ID's at support@hippocmms.com and we can delete them from back end. "Hippo on a daily basis "
Thank you for the amazing review. We are happy to hear that Hippo is helping you keep track of maintenance history, labor hours and costs. We have big changes planned for 2018 and performance is high priority. Easy to use interface. I like the different options: dashboard, list, etc. Poor mobile support. It would be really nice to be able to walk around the restaurant with a mobile device. Its a great way to record all your work orders. It's nice to have a consistent way to communicate facilities needs. We are happy to hear that you Hippo helps you keep records of all your facility maintenance needs. As far as the mobile version, we have recently released revamped Version 6 with features including bar code scanning, image upload, managing work order requests and more. If you are not on V6 yet, we highly recommend moving over. The migration to Version 6 is free and can be done quickly. Please reach out to support team at support@hippocmms.com to schedule your migration or if you have any questions on mobile version. Setting up new user permissions can sometimes be difficult. Tracking inventory was a manual task on a weekly basis, now as parts are used they are automatically tracked. Keeping track of work orders we were using an excel based product and was easy to miss a work order. We are happy to hear that Hippo is helping you keep track of work orders and inventory. We understand that user permissions are detailed. If you have any questions at all, please don't hesitate to contact us at support@hippocmms.com. At this time i do not have a dislike. The use of the program is a great benefit. We are so glad to hear that Hippo is helping you keep track of scheduled work orders and costs and it is working well for your company. "The more you feed your hippo the better it will treat you. " Ease of submissions for work orders by requesters. Tracking progress of work orders. Pulling history reports via locations. Having a single means of work order substitutions, with gathering information via fields required by the form. No mobile app. And unable to input times for reoccurring tasks, or give time frames to auto generated items. Not currently able to have a work request span facilities. Not currently able to implement a "facilities scheduler" type of interface, have been told it is in the pipeline. The more information, locations, vendors, equipment; you are able to put into the system the more useful the system will fit your needs. Better able to manage how requests are submitted, and the information needed, by requiring fields to be filled. Better tracking of man hours, and submission history, via location or requester. Has drastically reduced the amount of word of mouth, work order requests. We have benefited by haveing better accountability of submitted requests, able to accomplish more work completed, by better planing and scheduling of repairs. As well as tracking history of repairs to specific equipment; and defining specific locations of repairs needed. We are glad to hear that Hippo continues to help your department with managing work orders and keeping track of man hours and maintenance history. We always look for ways to improve at Hippo CMMS and we appreciate all the great suggestions. I have passed on these suggestions to our development team. It's simply to use after the initial setup. Hippo offer a lot of help to get you set up and running which is great. I've found it excellent for our companies uses. It helps us to easily keep on track of all our maintenance needs and its easy to navigate. There's nothing I particularly dislike about hippo. I've never had any issues with the way I use it. It fulfills all of my needs. However, it would be great if they could make hippo available for use on other web browsers. The more information you add when setting up the program the more useful it will be. It's worth taking the time to do this. For us, hippos solves the problem of keeping on top with all of our daily, weekly, monthly and yearly maintenance needs. Nothing gets missed anymore and its easy to add new maintenance schedules when new equipment is added. Thank you for the wonderful feedback. We are happy to hear your initial setup was a success. Our Data Integration Team enjoys onboarding all customers and helping facilitate a smooth kickoff for their Hippo experience. Hippo is available for all browsers and our Support team would love to help get your Hippo up and running in the preferred browser of your choice. Feel free to contact us at support@hippocmms.com! User Friendly and easily adaptable for any type of Use. Easy to access support when having issues. Support is not always as fast as we need. Benefits are in the tracking and documentation of the Software. Works well for tracking on a weekly, monthly and yearly basis as needed. One big item that Hippo is missing is the ability to customize different fields and make your own pages that other more expensive programs provide. Another area that would need improvement is the parts tracking/purchasing area. One item that may be useful for this is to be able to see parts history such as when a part was used on which work order, when the last recount was done and inventory, when the last purchase date was complete and for which price, and run reports to see what equipment uses the same part. These would be helpful from a business planning perspective and parts tracking. To those looking to implement hippo, I highly recommend going with the middle onboarding solution. They provide spreadsheets which make everything easier to implement. We are solving the issue of having to keep paper records for everything. Prior to this program we were doing maintenance based off word of mouth and did not track work on equipment. Now we are able to have better records which help us comply with Food Regulations. We really appreciate you taking the time out to share your feedback with us. Thank you for suggesting improvements and additions to our software. This is exactly the kind of input we need to better serve our customers' needs. I will pass this on to our development team to consider implementing your ideas in the future. With Hippo i can program or automate the reports when generating them. Also from my mobile device I can make updates in real time. One of the negative things that Hippo has is that the function of predictive maintenance is not available and this has caused many delays in my work. If you're starting with CMMS I highly recommend Hippo since you save a lot of money in addition to its ease of use. The problem I could solve using Hippo I can accurately track my inventory parts. This has enabled all staff know when and how to apply new parts through the relevant vendor information. I got my training with Mel Motoch and she has always been so helpful. She explains things thoroughly and accurately. She makes sure you fully understand the "why" and the "how to" of the different aspects of the program features. I really love the fact that this program is so powerful. I am still learning how to use it but it has so much potential. There are so many great features. The more I learn how to use it the more I like it. so that would have been my only issue. There are a few things I would like to see the program incorporate. It is a program that can certainly facilitate the organizational aspect and control of the different areas of maintenance in any buisiness. I like that you can keep track of everything that is happening in your enterprise. It makes it easier to keep track of and control the maintenance of everything. We no longer have the janitors sending us work orders on paper. This is a big plus because often times these papers were being lost in transit and this made it impossible to keep track of what was being done at the schools. Now we can see how many times we get the same problem with certain repairs. Mel is our champion trainer, no doubt about that. We are happy to hear that Hippo is helping you to keep track of all your maintenance history. We are always looking for ways to improve the software. Please feel free to reach out to us at support@hippocmms.com if you have any suggestions or questions. "Easy and great support. " Hippo is so easy to add equipment, build PM's, and get the reports you need. Also, the support desk is outstanding! Every time I have a problem or am not sure how to use a section of Hippo I get friendly help, Thanks to my Rep Mel Motoch, she is a great asset to the program and your team! I would like to see a purchase order feature added so we can automatically get a PO to kick out when we reach the minimum parts on hand. Get as much information uploaded from the beginning or you will be adding it one piece at a time. We never had a documented PM system on hand. Hippo is allowing us to build the PM's where we need them and track the progress. Thank you for leaving us a great review. We are happy to hear that support team has always been there for you and Hippo is helping you keep track of all your PM's. PO feature is on development road map. If you have any further suggestions or questions, please reach out to us at support@hippocmms.com. The simplicity of the software. Anyone can sit down and learn this program quickly. There are times when it seems like there is a lag in the system. Hippo is a very easy and reliable program that helps manage the day to day parts of running a building. With Hippo we have been able to keep up with work orders and nothing has fallen through the cracks. The ability to track work orders and keep on track is the largest benefit. We strive to develop a simple and easy to use CMMS, and we are happy to hear you are enjoying the simplicity of the software. Decreasing lag time and improving performance of our software is a priority for us here at Hippo. We are working hard on developing new updates to improve your experience with the software! Onboarding takes some time. There is an option to have Hippo come out and do it, but being the small business we are, I don't have the funds to allocate to such service. I spent the better part of a couple months, just getting all the information I needed to get it up and running. Once all that was done I spent just as much time getting the rest of our business used to the product. Training people on how to use the system took some time, with many questions involved (what qualifies as a work order? Where is this thing? etc). Just time and money, but worth it in the end. Whether you're a large cooperation with multiple locations or a small individual facility, Hippo is a great choice. While there are multiple companies that tout the same thing, their prices are staggering at best. I would pay 10 times the amount I do for Hippo for some of the other programs out there. Before we got Hippo, we were using post-it notes and emails to communicate maintenance issues. We had no preventative maintenance schedule whatsoever. With Hippo, my team can effectively accomplish tasks, the staff and communicate easily any maintenance issues, and we have a great PM schedule. This is the best kind of feedback! We are glad to hear that Hippo has streamlined your work order management process. We understand that onboarding is very crucial for successful set-up of database and it can be tricky at times depending on the staff size. Please do not hesitate to contact us if you want to organize training sessions for your team. "Good all around software for what we need"
The ability to change work group to send work orders to proper areas. Having to tag every name for work unit in resources. We are happy to hear that Hippo has served you well with preventative maintenance and managing work orders. Please note that we can give resources ability to edit and delete resources on the work order form if we are not tracking labor hours. Please feel free to reach out to us at support@hippocmms.com to discuss this further. "It takes a while to get use to it. " I like that when I email the technical support team they get back to me extremely quick. I dislike that when I am using the extract it use to be an option to export straight to an Excel from, but now it is gone and the only option is to export to a CVS file. We now know how many work orders that are being completed throughout the whole month. Glad to hear that you find our support staff helpful and responsive. I will pass on the suggestion to add Excel format to extracts to our development team. Please feel free to reach out to us at support@hippocmms.com if you have any questions or suggestions. "Great software program and the technicians are amazing." HippoCMMS is one of the best software programs I have ever used. It is simple to operate and I love the reports. I would like to have more features for vehicles. I love the technical crew, they have answered every question I have had without delay and have resolved any problems I have had along the way. Hippo team is happy hear that you are having good experience with software and support team has been there for you. We have lot of development planned for coming year and we will continue to improve the vehicles module of the software. We will be here whenever you need us. "Okay, there are somethings that could be better." There is the option to have multiple locations and user types. There is no mobile application. I cannot setup preventative maintenance schedule based on the last service date. I do not like how I cannot run a maintenance history on a curtain time generated. I do not like I cannot run a report on the time I change not started to in progress to waiting on parts to invoicing to complete. It is only time of completion. It does not have a mobile application. It only has a mobile site you can access on the internet on a mobile device. The mobile site looks completely different from the desktop site. I do not have employees calling me. Work orders are more organized. Please note that we can turn on Floating feature for PM's so that the next PM does not generate until the last one is completed. Setting up preventative maintenance based on last service date (Variable Schedule) is a great idea and I will definitely pass it on to our development team. Please note that Hippo Reports are based on Created Date and Closed Dates but we can run an extract to create a report for other status change dates. Please feel free to reach out to us at support@hippocmms.com so that we can help you set-up extracts. "Hippo is ok but very cumbersome to use"
It has very goog tracking abilities, and reporting sections. It is easy for users to put in work orders and notification works well when a work order is in progress . The equipment logging is great, you can track and log every aspect of equipment , from beginning to current status. You can see all the work completed on equipment and the person doing the work. and pictures of the equipment and asset tags. The users are able to pick from a drop down menu to list exactly the equipment in needing repair. The PM module is very helpful to tie PM's to the right equipment individually and in a group. You can't delete duplicate work orders, and the equipment section is cumbersome to use.But the facilities section where the equipment and and plotting is, it requires to redundancy. There is not any real understanding of why the information is needed by hippo program. you fill out the line item and then you have associate other areas to that line item and it does not associate with the line item that is being input. 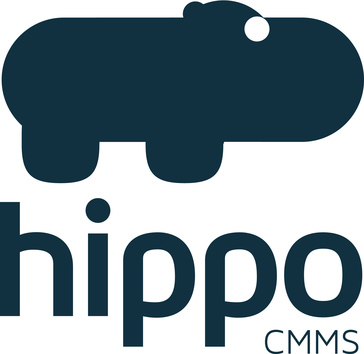 "Hippo CMMS - Nice Price Point, Great Value, Easy User Interface, In depth Modules"
Two things I like best - The price point (fraction of other CMMS), the user interface and the ease of support. I dislike the rare, but untimely server issues. Guess it can't be perfect! There are other, more complete systems out there. But when comparing price point to features, this CANNOT be beat. Before we implemented Hippo, we had no PM program to speak of. Now, not only do we have a PM program, but we also have a Predictive maintenance capability, strictly because of the date we have gathered. We're so happy to hear that you are finding our software enjoyable to use. Our PMs is one of the biggest module in Hippo and we are glad to hear that it is benefiting your business. We are working hard to resolve glitches in our software to provide a better experience for our users. "Mind blown by the strength and intuitiveness on this CMMS"
Standardization of PM scheduling and reporting. Quantification of used hours by department. Thank you for leaving such a nice review. Glad to hear that you are making great use of our PM scheduling module and the reporting tool. "Great way to amalgamate and organise your PM." User interface is very straightforward. Web based so no software to worry about and allows for mobile access. Great training and on-boarding staff. Mobile access can be slow at times. "the product works as advertised"
Thank you for the review, Alan. We always look for ways to improve here at Hippo CMMS and we appreciate your feedback. Glad to hear that Hippo is helping your team solve problems! Let us know if you ever have any questions or how we can help to further improve your operations! "The system provides great electronic communication, reports, and cost impacts. " The ability of the system to keep the requester informed of the status of work requests. The system will time out, what seems very quickly. Hippo strives to be a simple and easy to use software and we are very glad to hear that you have found it efficient. Improving performance of our software is a priority for us and we are working hard on developing new updates to improve your experience with Hippo. Feel free to contact us at support@hippocmms.com! "Works great for maintenance management & accountability at all levels." The ability to track and check on how busy each site is without having to request hand written reports or digging through piles of paperwork is great. This also allows for management to be in closer touch with what is going on without crews feeling like they are being watched all the time. The residents and staff love the fact that they know when they enter a work order it is going to be seen and is on record rather than just telling someone or even dropping a note in a book that may or may not be seen. We had a bit of time making sure all the areas and equipment were identified as we know them rather than what a blueprint of manufacturer listed them as. Strongly recommend if your setting up a new Hippo system have your crews work closely with the start up crew to get things right from the start. Make sure set up is what you want and know from the start! Some of our sites have 2 maintenance persons that cover the same areas. In the past they had to keep a book with a list of work requests and constantly be going back and fourth to make sure what they were planning to do still needed to be done and was not already done but just not crossed off yet. The system also works great where we have 1 person looking after more than 1 site. Before they go to the other site they can see what jobs they are facing and go with tools, parts and are prepared to get the job done the first time rather than getting there and finding they don' t have what they need to complete the work. We are glad to hear that Hippo has simplified maintenance management at your end and you can easily keep track of all of your work orders. Please feel free to reach out to us at support@hippocmms.com if you have any questions or suggestions. Sometimes cumbersome data entry, find a little difficulty in managing permissions between facility and enterprise at times. Thank you for taking the time to leave us your feedback. We always look for ways to improve at Hippo. Please don't hesitate to contact us at support@hippocmms.com if you have any questions! Keeps onsite maintenace on track and can easily follow up and see what items are outstanding. Thank you for the positive review! We are happy to hear that you are getting great value out of the software and Hippo is keeping all your maintenance needs on track. "It works really well for reporting issues "
Nothing. It all works now. Before it was clunky. Our custodial department uses it as help desk of sorts. Thank you for taking the time to leave us your feedback! Glad to hear that you are liking the new version. We always look for ways to improve here at Hippo. Feel free to contact us at support@hippocmms.com for any questions or suggestions! As an Operations Manager, I find this to be a great accountability tool to my technician team and a great way to collaborate PM and Corrective maintenance work! My only feedback would be make the calendar feature more user friendly as it can be a great tool in organizing your week/month. It would be great to have a user friendly print option! Other than that, great program. PM and Corrective accountability. Setting timelines and email reminders is a great benefit! . "Set up has been easy. " Function of the software has a easy learning curve. Some features are not customizable by the end user. Inventory and tracking machine expense along with downtime. Hello Robert, thank you for the review! We are happy to hear that you have found it easy to learn the software. We'd love to hear more about your ideas on improving the software! Feel free to contact us at support@hippocmms.com. Hippo CMMS provides a simple and easy-to-use interface that most users can figure out within minutes of logging in. The biggest thing for me in my search for my company's CMMS was something visually driven and robust with data, yet simple and easy to manage for our lean operation. In addition, I love the fact that they constantly release updates to improve the system and take feedback to help develop around what the customer wants, rather than what they think the customer needs. I dislike the fact that it is a newer utility with things in development that I would like to see and be able to use right now. However, I do understand it is a developing platform with a lot of features not baked in that they might have thought were a bit excessive. It would be nice to have more control of the work order creation, assignments and revision details, but I am confident these things will come in future iterations. For the price point, this CMMS cannot be beat. It offers what the major CMMS providers offer and then some. It is very visually driven, making it easy to edit and manage the program. I am able to gain more insight on where the money is going, how labor hours are allocated, actually getting scheduled work out and enabling the team to work in a more structured fashion. These are all things that help the bottom line in terms of ensuring the work is done so we reduce the downtime and increase our throughput. Thank you for the amazing review. We are happy to hear that you are getting great value out of the software. Our development team is continuously working on adding more features and customization abilities. Stay tuned for updates. "Easy to use and to get PM's, but would like better reports." The ease of adding, modifying, and tracking PM's. Final reports. I would like to be able to make final reports that are customizable and be able to save or print them to give to clients. PM tracking, we do not fully utilize the program and track inventory or such. Thank you for the constructive feedback. Enhancing reporting capabilities is on our priority list. Watch out for updates! "takes a little time to setup"
Once setup system is able to simple for teams to input new work order! it is simple to log in. I am able to smart phone to log in any where because we use cloud based. we are able export into excel spread sheet to share data. the ability to log in any where with any web based electronic device connected to net is great. the connection even work on cell data editing work orders and smart device layout makes simple to scroll work orders. It does not have a simple way to mass edit work orders or jobs. I perfer to edit from a spread sheet as a administration user. sometime saving requirements when exiting page screws all my info up. not being able to have multible screens open at a time when inputting equipment or assets. Used for tracking facility machine PM and repairs. share with auditors and use across company to link facilities together. able log in from any computer with internet connection. when in middle of meeting I am able to log into system on phone and email reports out if required. We appreciate the amazing feedback . We are working on simplifying the Equipment grid even more. I will pass on your suggestions to our development team. Please stay tuned for updates. "Hippo has been a great way to go from nothing to having a working maintenance program. " it seems like things are 80% to where they should be or could be to make it a very useful product, for instance time tracking for the maintenance personel is lacking. be ready for a piece of software that will technically get the job done but understand that the level of polish isn't there. "How Hippo helps our business." User friendly and easy to catch on and teach others how to use. It would help if it shared a network of service providers to assist in work order, for us we move into new markets all the time and struggle to find quality service providers to assist in completing work orders. Communication with our management on what is going on at there facility is much better and work orders are responded to and and closed much quicker. Glad to hear that you find Hippo user-friendly and it has improved communication in your organization. I will definitely pass on your suggestion to the management team. The best thing about the software is that it is very easy to use and simple but you can also put in and save a lot of information and it makes my job a lot easier. I love it!!! There's a hiccup in the system to view own demand work orders but not a big deal there's a trick to fix that. Just enable the person to view all and own demand work orders. It is helping the whole facilities side in my department with reminders on inspections and anything upcoming so no one forgets. Thank you for the great feedback. Glad to hear that you are pleased with the overall functionality of the system. Ease of entering work order, the notification of work order received in system, the notification of the work order you entered being completed. Great for facility maintenance and tracking of projects no matter urgent or how small. Thank you for the awesome review. We are happy to hear Hippo is helping you keep track of all your projects. The user interface & architecture are extremely user friendly. The work categories make organizing certain job tasks simple. The reporting feature is also very user friendly and makes analyzing data very efficient. Inability to run certain specific reports easily. Also inability to amend a previously closed work order. The reason I would recommend being able to amend a closed work order by the administrator is because there are at times errors by the user who closed the work order. I have had several errors involving incorrect parts issues and also amount of hours worked on a specific problem. This also plays a factor with redundancy if a previously closed work order is closed but yet the work needs more attention. If you need an easy to use, efficient CMMS, then HIPPO is definitely a good choice. Historical documentation and reporting . Ability to edit completed work orders is already on the road map and we are hoping to release it as soon as we can. Please feel free to reach out to us at support@hippocmms.com if you have any other questions or suggestions. We are still in the process of integrating all of out office locations into the HIPPO Platform, but thus far the experience has been pretty good. The functionality of the system is great and their responsiveness is pretty good as well. Integration was a bit more cumbersome and laborious than anticipated. Training lacked a little organization. Mike and Earl are fantastic with trainings and integration. Consider the time of implementation. It is more cumbersome than you might think. We will be using HIPPO as a document repository and to track/manage Facilities Work Orders. We will also be using it as a single source of truth for the most accurate and up to date asset information. We have not yet realized the benefits as we are still onboarding and integrating over to the system. Thank you for the great feedback. We understand that initial set-up may take more time than expected in some situations but our team will help you in every possible way to make the process smooth. Please feel free to reach out to us at support@hippcomms.com if you need help in any way. It's an easy to use interface, Straightforward way of entering work orders and the support I've gotten when we did have issues was excellent. The barcode system is a little tough to use on my mobile device, and when we go to enter work orders on the mobile device it doesn't show all the fields without clicking a drop down bar so some people don't fill out the required sections and the work order won't save. We purchased the system to centralize our maintenance department, to make all of our records accessible from one location and to better alert our team when PM's are required. So far it's performed exactly as we hoped, we'll see how it works once we roll it out to our whole team. Thank your for the amazing feedback. We are happy to hear that Hippo is meeting all your expectations so far. Please feel free to reach out to us at support@hippocmms.com if you would like additional mobile training for your team. "Good for Maintenance & Facilities Team"
Work Order process makes it easy for our facilities team to see work orders and complete them in a timely manner. I dislike that there is not an easy way to log room finishes (Design finishes) so that if we need to repair or repaint, we cant just click the room and see a log of all the finishes to make the repair. Definite benefits are the ability for staff to communicate quickly with our busy facilities team. Thank you for the great feedback. I have passed on your suggestion to our development team. Don't hesitate to reach out to us if you have any questions at all. * We monitor all Hippo CMMS reviews to prevent fraudulent reviews and keep review quality high. We do not post reviews by company employees or direct competitors. Validated reviews require the user to submit a screenshot of the product containing their user ID, in order to verify a user is an actual user of the product. Hi there! Are you looking to implement a solution like Hippo CMMS?